Clarins understands your skin. They know its needs. How it works. What stresses it out and how to keep it looking beautiful. Panda eyes don’t really look good on anyone (unless you’re a panda, in which case they’re gorgeous!) Plus, residue of make-up can clog the pores of your skin and irritate your eyes. With Clarin’s Instant Eye Make-Up Remover, you can gently remove heavy or water-resistant make-up, such as eyeliner and mascara. In one bottle, two textures ensure a non-oily, ultra-clean finish – the oil phase removes heavy make-up, while the aqueous stage removes residues and impurities. And it’s not without its benefits, either. 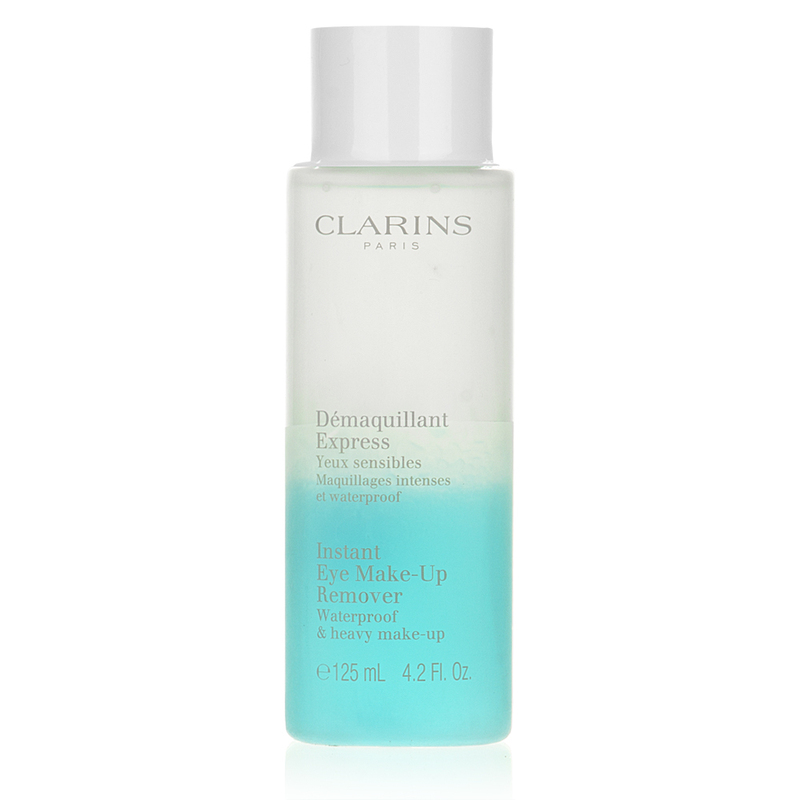 Clarin’s Instant Eye Make-Up Remover moisturises and smooths eye contours while leaving skin feeling refreshed and supple, with organic chamomile and cornflower water extracts that sooth, relax, calm and soften. Free of any fragrances, it’s even suitable for those with sensitive eyes and people who wear contact lenses. Now you can look refreshed and clean, even after a long night out on the town. Two textures in one bottle – the oil phase removes heavy make-up, while the aqueous stage removes residues and impurities. Can remove heavy water-resistant make-up without irritating the eyes. Moisturises and smooths eye contours. Leaves skin feeling supple and fresh. Suitable for those with sensitive eyes. Suitable for people with contact lenses.